The Rainbow Syrup Company started in 2005 as a manufacturer of high quality granita products and flavoured ice cream topping syrups. 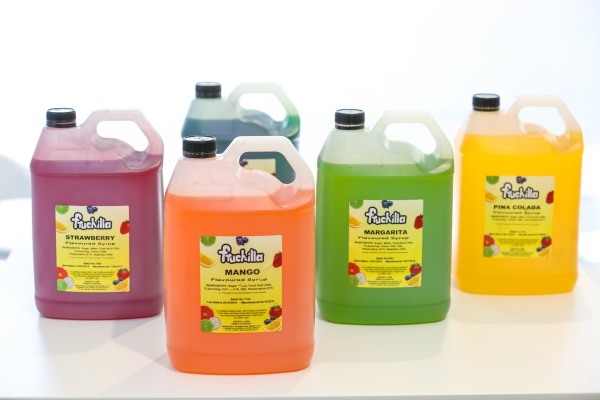 Since then, we have grown our product range to include coffee syrups, milk shake flavourings, iced tea concentrates, natural fruit-juice based slush syrups and cocktail mixers, as well as expanding our premises to meet increasing demand. Since our establishment in 2005, our number one priority has been providing the best possible service to our customers, while developing new product lines to meet changing demands. Our focus on customer needs is matched by our unwavering commitment to quality products. We meticulously analyse every batch for taste, smell, pH, Brix and a range of other quality assurance factors. You can find out more on our quality assurance here. Working with you in developing new flavours, we can help you to differentiate your company brand within very competitive markets.